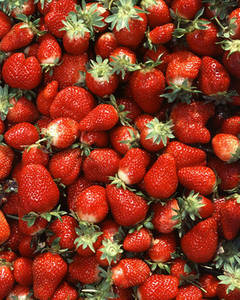 Description: Free picture of lots of ripe, juicy strawberries with their stems. Photo taken by Ken Hammond for the U.S. Agricultural Resource Service.